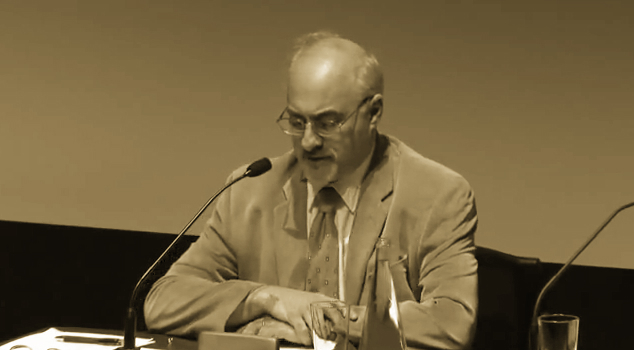 In the 2012 conference Religion and Modernity, Philosopher Ronald Beiner spoke about religion and its tension within Western liberal secular societies: while liberal societies in the West provide a “breathing space vis-a-vis religion” to ensure the public agenda is not “subject to dictation by religious authorities” but the deliberation of “citizen to citizen”, the problem however is to explain why it is illegitimate for religious expressions to have “leverage” on “power and authority”. There is a paradox, contends Professor Beiner, for a liberal society to imply and impose structural liberal values on citizens whom are not liberal. In this lecture, Professor Beiner will argue that what underlies the assertion of political liberalism as a value that can be asserted in secular modernity is that it is grounded in normative anchors expressed in what he calls the philosophical comprehensive doctrines of citizenship or civism, that in themselves contain the limitations to cultural pluralism in Western secular modernity. While it is through this medium that religious minorities can express their beliefs in the public sphere in the West, in a liberal secular society they can only do so however in this mode, i.e., as equal and citizen to citizen modes; the argument that a liberal community can only addressed on the basis of citizens rather than of believers. One of the predominant versions of the liberal compromise that Professor Beiner takes aim in the lecture is that of the Rawls, specifically the Rawlsian proscription of comprehensive doctrines in the normative construction of public institution and the public sphere. Professor Beiner reminds us that Rawls’ proscription of these doctrines were caused by his perception that they were inherently and ultimate “sectarian” in nature, making them inappropriate shared sources of legitimation. The problem with the Rawlsian solution and its tests is that we can never quite place our existential commitments apart from our political ones. In other words, the proscription in itself makes it difficult if not impossible to affirm the philosophical basis of citizenship required for a liberal state. Professor Beiner further argues that the problem with Professor Charles Taylor’s definition of secularism, in Secular Age and other recent works, is that it gravitates too closely to this type of Rawlsian proscription. For Taylor, a secular regime is not only one in which no one is being coerced for having or lacking religious beliefs, but there is also an equality between citizens with beliefs and those that do not, and a commitment that that diversity of beliefs should be permitted to be voiced. Professor Taylor’s solution is to ensure that the Western state does not embody any policy of expression itself of religious symbolism and meaning. The state should be everyone’s state and not make it insufferable for religious minorities. What this articulations miss, for Professor Beiner, is that the point in affirming the neutrality of the state was in a sense not only an argument against theocracy but also a commitment that political liberalism should not be appropriated against cultural and religious minorities. Yet a liberal secular society is inherently built with its own “conceptions of the good”, such as liberty and equality of citizenship. Nothing is neutral, indeed nothing is unproblematic, even if it is a “minimal perfectionism”. Professor Beiner insists that we should not concede to these kinds of proscription of comprehensive doctrines but rather reinstate the Taylorian “commitment to political philosophy as fundamentally re-oriented toward notions of the good” — toward debating these notions of the good. For Professor Beiner, this comprehensive doctrine is citizenship — an “existential commitment to a life of equal citizenship” as a “part and parcel to Western secularism”. Here, the idea is that the Rawlsian overlapping consensus “cannot acknowledge the justice” of issues that truly matter on existential grounds, like for example “gay marriage” where a shared comprehensive conception of citizenship would. Moreover, some of the debates between secularists and anti-secularists are, as in the case of modern Egypt at the moment, often caste in an “either/or” that cannot be reproached through appeals to cultural pluralism. Professor Beiner argues that a comprehensive doctrine of citizenship is an assertable ground in Western secular societies. It is after all only through this that religious minorities express their beliefs in the public sphere in the West; i.e., citizens engage and express their opinions and beliefs as citizens — in other words, a secular modern community in the West can only be addressed as citizen to citizen rather than that of believers. This is not only what can be asserted comprehensively but also needs to be asserted.